If you’re reading this, chances are good that you (a) are about to go on your first ever summer project, (b) have participated in a summer project before, or (c) is the parent of a child who fits in (a) or (b). If you found yourself fitting into (a), then wow I am encouraged by you. You’ve made a sacrificial decision. You chose to not conform to the pattern of the world. Because, honestly, who on earth chooses to spend 9 weeks of their summer this way? I can promise, you will not regret your decision. My first summer project was foundational in my walk with Christ. So much of the way that I live my life today found its root in my first project. (I am also married to a man that I first met on that summer project… But moving on!) (Okay, because I said that, now I have to say this: seriously don’t focus on the cute boys or girls on the summer project. It’s 9 weeks. You can admire from afar the way the Lord is molding the hearts of some of your brothers or sisters, but please let the Lord mold your own heart in this time. Don’t waste the summer’s incredible opportunity by fixing your eyes on a relationship. Fix your eyes on Christ.) I won’t spend much more time speaking to you, because you have so much fun ahead of you, and so much knowledge to soak up. I would simply encourage you to be humble, be teachable, and to ask God to reveal more of Himself to you as he works in your heart this summer. If (b) sounds more like you, then wow you have some awesome memories. Please continue to not follow the pattern of the world. Paul tells us in Philippians 3:13 to forget what lies behind and strain forward to what lies ahead. Frankly, the fact that you went on a mission trip 6 years ago or a discipleship project 2 years ago is not what makes you righteous today. Your “Christian resume” simply isn’t (and will never be) good enough. Your “Christian resume” is not what brings about fruit in your life. Jesus says in John 15:4-5, “Abide in me, and I in you. As the branch cannot bear fruit by itself, unless it abides in the vine, neither can you abide in me. I am the vine, you are the branches. Whoever abides in me and I in him, he it is that bears much fruit, for apart from me you can do nothing.” If you want to continue to see fruit in your life, you must abide in Christ daily. Take all of this from a recent graduate who forgot this truth for a few months and saw no fruit. I did not know how to forget what lies behind and strain forward to what lies ahead. I did not know how to treasure the Word of God outside of the context of college ministry. Finding community in the local church instead of the college campus was a slow and unfamiliar process. I shied away from sharing the gospel boldly for a season. I got so caught up in the pattern of the world that I felt like my life had no purpose, solely because I don’t have a successful career yet. I was not abiding in Christ. But friends, the Lord is good and merciful and longsuffering with you and I. The Lord showed me slowly that ministry does not always look the same outside of college. He was faithful to place believers around me to sharpen in encourage me, many of which are nowhere near my age or season of life. He showed me that his Word is precious in all seasons. Yes, his Word is precious when I am reading it to share with college students in my dorm, but his Word is also precious when I am soaking it up simply for the purpose of knowing God and hiding away Truth in my heart for a later season. He showed me that despite the way the world screams at me to be successful when I meet my Creator in heaven, He will be no less pleased with me due to what career I chose or what job I worked. I need only to abide, abide, abide. When I abide in Christ, no matter what my life looks like, that is when I bear much fruit. Friends, abide. And as you abide, strain forward to what lies ahead. If you are the parent of a child who fits into (a) or (b), then wow! Just wow. You may be excited. You may be scared. You may be ecstatic. You may be upset. Your feelings may be hurt that your child is spending the summer away. You may have expectations of the summer with your child that simply won’t happen with them gone. You may not understand their decision. You may be so proud of them, yet heartbroken at the same time. Parent, let your child GO. Parent, you don’t have to put on a brave face; God knows your heart and sympathizes with you! He sent his Son to die on the cross, His only son left heaven to come and die, God abandoned Jesus on the cross, but He also raised him up and gave him the name above all names three days later. By letting your children go to the world, you are participating in the great commission of Matthew 28:18-20. Parent, I truly believe that great blessing to you will follow great obedience as you share in the sufferings of Christ by letting your children go. So, (a), (b), and (c), welcome to Mountain Project! Welcome to life! Enjoy the ride, but remember life is short. However, eternity is forever. Whitney (Robertson) Johns is a Clarksville native who now resides in Murfreesboro, TN with her husband, J.J. Johns. Whitney is a recent graduate from Tennessee Tech University, where was a student-athlete, competing for four successful years on the women’s golf team. While at Tennessee Tech, Whitney became involved in Campus Outreach, where she learned the reality of the gospel and she grew to love and follow The Lord. Many of her writings involve real-life examples of how to practically apply truths of the Bible to our everyday lives, something she and her husband are very passionate about sharing with others. Last year I had the privilege of traveling to five continents in three weeks. I did this as the writer and presenter of an eight-episode documentary series on Philippians called Discipleship Explored. The idea was to interview believers all over the world, many of whom had faced severe persecution, to show the difference Philippians has made to them in their Christian lives. As one of my friends points out, although the Greek word “disciple” most definitely appears in Scripture, the word “discipleship” does not. And when we use that word, often what we mean is something like “the art or craft of being a disciple.” Almost inevitably, then, the word inclines us toward thinking in terms of methods and techniques, and focusing on the things we should be doing rather than on the one we are following. In other words, we can be experts in disciple-ship, and never actually be a disciple. Do We Dance to the Music of Joy? That was ten years ago, but the shallowness persists. Could it be at least partly because so much of our training in discipleship amounts to little more than a list of disciplines one is supposed to master? Imagine a dancer. She’s dancing with grace and joy and rhythm. As you look closer, you see what drives all this beautiful movement: she has her earbuds in, hearing the music she loves best in all the world, and it’s transporting her. She’s captivated and enthralled by it. It’s almost as if she can’t stop dancing. Now imagine a second person walks into the room. She looks at the dancer and thinks, “I’d love to be able to dance like that!” But she can’t hear the music. So, she tries to copy the moves. The technique. And it actually seems to be working, at least for a time. But because she hears no music, the movement is clunky, hesitant, and self-conscious. She doesn’t seem to enjoy dancing the way the first dancer does. Before too long, she’s exhausted, while the first dancer is still going strong. What if much of our well-intentioned disciple training is actually forcing people to be that second dancer? Telling them to copy all the right moves — read your Bible, pray, go to church, love others, share the gospel — while doing relatively little to help them “hear” the beautiful music that must drive it all: joy in Christ. What would it look like if our discipling of others was less an act of technique-teaching, and more an act of “turning up the music”? What if it were less about mastering, and more about being mastered? What if our focus was on captivating and enthralling would-be disciples with the music of God’s surpassing love for us in Christ? None of this, of course, is meant to imply that the Christian life involves no actual “doing.” One author rightly likens the Christian life to sailing, and there are plenty of things you need to do when sailing. You break a sweat. You have to stay attentive. You can’t just sit back and do nothing. But there are two things you cannot control on a sailboat, and they make all the difference in the world: the tide and the wind. Why is it, then, that so much of our discipling amounts to sitting people down in a boat and telling them to make it move by blowing into the sail? It shouldn’t be a surprise to us if many budding followers of Christ bail out, get burned out, or never make it out of the shallows. I’ve been a Christian now for 26 years. The great adventure began on Easter in 1992, at the end of my second term at university. And I have to say, I look back on that first year as being one of the most fruitful years of my Christian life. The passion for evangelism. The eagerness with which I opened my Bible. The joy with which I said my prayers. The expectancy with which I came to church. That was my Christian life in that first year. Effervescent. Overflowing. And can I be honest with you? I’m not sure it’s been quite the same since. I suspect that’s partly because, as we go on in the Christian life, we often stop attending to the music that first moved us and begin trying to dance in silence. We start focusing on the moves we’re supposed to be performing as disciples. The “quiet times,” the prayer meetings, the Bible study, the evangelism, and so on. Again, I want to stress that these are wonderful and appropriate things for a follower of Jesus to be doing. But without the music of the gospel to drive them, they become hollow — mere technique and artifice, the moves of a dancer, but with none of the joy, none of the energy, and none of the grace. Much has been written about the threat to Christian disciples from an increasingly secular society. That’s true, no doubt. But is it possible that there is also — because of the way we disciple others, and ourselves — a significant threat inside the church too? When Paul wrote to the young disciples in Philippi, seeking to build them up in the context of a culture which actively opposed them, he didn’t present them with a list of discipling to-dos. Instead, he filled the letter with the statement and restatement of one glorious reality: the supreme worth of Christ. He knew full well that all genuine Christian “doing” flows from that music. Yes, he tells them to “work out your own salvation” (Philippians 2:12), but in the very next verse immediately reminds them that the power to do so comes not from them, but from God who works in them “both to will and to work for his good pleasure” (Philippians 2:13). As we make disciples for Christ, let’s do everything we can to turn up the music of the gospel. Let’s recapture our first love, and remember how to dance. Barry Cooper (@barrygcooper) is co-founder of Christianity Explored Ministries, and author/presenter of Discipleship Explored. He and his wife Lee are members of Christ Community Church, Daytona in Florida. Find another great read about missions and debt here from the sister ministry of Campus Ministry Today, Support Raising Solutions. I remember like yesterday… driving down the Pigeon Forge Parkway with my car packed full of everything I would need for the summer. I was following my friend, Emily, and we were heading down to the summer project- some of the few ETSU students on a primarily TTU project. The nice thing about the Pigeon Forge Parkway is that there are tons of places to make U-turns. I thought about making one and just driving right back home, but then my phone rang… it was discipleship group leader from back on campus, Rachel. She was already at the hotel and wanted to know if I was almost there, so I kept driving until the next thing I knew, I was at the hotel with a group of people I didn’t know greeting me. It was a little awkward, but then again first days of anything always are, however I was just about to begin a summer that was going to change my daily life for years to come! Mountain Project 2010 was a good investment for me in many ways, but I want to focus in on two specifically- learning to share my faith and learning to read the Bible. I had been a Christian for a couple years. I really wanted to be someone who made a difference in the world… someone who led others into a relationship with Jesus, but I just didn’t know how. I desperately feared turning people away from Jesus if I said the wrong thing or came across to harshly. Learning to lead others to Christ was the main reason I wanted to come to Mountain Project, and I was promised that I would learn that if I went and spent my summer with those strangers. I can honestly say this promise was delivered on. Within the first week of MP, I was already amazed at how I saw others share the Gospel. In one training, we all learned how to share our testimonies, and we set out to Dollywood to put it into practice. One of the staff women, Roxy, and I got in line for Daredevil Falls, and I began to strike up conversation with the women in line ahead of us. I finally got to the point where I asked if they had any spiritual beliefs, and then they quickly answered, “Um, we’re lesbians”. I stood there without any words left to say as Roxy continued the conversation. She asked more questions, and she shared the Gospel with them! The conversation was a pleasant conversation and the women even thanked us for talking to them because they had never heard Jesus explained in the way Roxy did it. That day, I learned a lot just from seeing her share. As we were leaving Dollywood, I remember telling the group that if I only learned what I did that day, MP was worth it… and we were still in the first week! My room leader, Jess, challenged me all summer long to continue to share the Gospel with people. Then towards the end of the summer, she sat down with me and helped me make a game plan for returning to ETSU and sharing my faith there. Since MP2010, evangelism has been a regular part of my life. I am so thankful for people who actively took me out and showed me daily how to lead others to Christ, and do so in a loving and caring way! The next big thing that I learned was something I thought I already knew how to do, and that is study my Bible. I had been inconsistently reading my Bible for a while now, and I was good at Bible Surfing or looking up verses in a concordance, but I did not know how to richly study God’s Word in such a way as to let it change me… That summer, I learned how to not only read my Bible, but how to spend time with God. I wasn’t just told how to study the Bible, but my room leader and one of the staff women consistently read the Bible with me! I was too prideful at the time to admit it, but I had no idea what I was doing, but they helped me pull truth from scriptures that I had never even thought about before. My life was really being changed by the scripture- reading them, talking about them, memorizing them… it was life changing!! And I can honestly say that this morning, many years later, the way that I read my Bible, and a majority of the days since then, is a result of learning to drink richly from God’s Word on MP 2010. Simply that, all by itself, was enough reason for me give up my summer and spend it with those TTU students who I had never met. Mountain Project is one of the best investments I have ever made. Before going, it was a hard decision to make. I wanted to work at a Christian camp that I had been working at for years. I lot of my friends were going to be doing that. I also wanted to go on a month long mission trip. I could have done both of those things instead of Mountain Project, but I had already done things like that with my summers… they were great and I grew a lot, but after each mission trip and after each summer at camp, I was left asking the question…”Now what?” “Do I wait until next summer to do ministry again?” But when I left Mountain Project, I had clear next steps. I knew ministry was with my whole life. I was established to have my own intimacy with Jesus and equipped to lead others to Him! It was a summer sacrifice and investment that I will never regret! Hillary Walters graduated from East Tennessee State University in 2012. She has been on staff with Campus Outreach since 2012 and currently lives in Knoxville as the Regional Women's Coordinator. Hillary enjoys working on staff with Campus Outreach as well as spending time with friends and looking for new adventures to take part in. Plot twist… I’m not! Actually, I believe the answer for the best way for you to spend your summer is found in the words of Jesus in Matthew 6:33. In the fall semester of my sophomore year, my sweet dad called me up and said, “Hey there’s a record label in D.C. and they want to hear you sing. They are flying us out next weekend!” So I drove home to Nashville and hopped a flight with my dad to Washington D.C. The time came for the label to hear me so I climbed into the recording booth and played an original song on my guitar. When I came out of the booth, they said, “Your voice brings so much comfort and peace and I think others need to hear it, we’d like to sign you to our label.” I was in so much shock and the little girl inside me that used to dance around pretending to be Shania Twain’s dreams came true. Over the next day, they began to ask me what kind of music I was most passionate about and other questions that would define me as an artist. Through these questions, I began to have a bit of an identity crisis. I knew I wanted to sing “good” songs that had positive messages, but I didn’t really know who I was and it began to scare me. All of my dreams were coming true but I had no real foundation, so I paused the record deal by using the excuse that I wanted to finish college and get my degree first. Upon leaving the record label, we came to the agreement that I could potentially move back there in the summers to begin writing and recording. A couple of months later the love of Christ compelled me to surrender my life to Him, and I found my true identity in a relationship with God. I was filled with a joy, that was unexplainable and began to discover this new purpose of enjoying God, knowing Him and making Him known. As I saw where I was at as a young new believer and what the Mountain Project had to offer, and what Christ had done for me….the decision was a no-brainer! I needed to be equipped in how to read God’s Word, how to share my faith with those around me, how to walk with Christ alongside a community of believers… and MP would prepare me to do these things while a record deal really wouldn’t. You may think I’m crazy and ask, “Do you regret turning down that record deal and going to Mountain Project?” And what I would say is not for a single second have a regretted it. You will never regret Seeking first His Kingdom. It was at MP where I first learned about the life of suffering that we will face which has carried me through the recent loss of my dad. It was at MP where I learned about persevering and long-suffering for the gospel which kept me on my knees in prayer for my mom’s salvation (who gave her life the Christ last year). It was at MP where I gained clarity about God’s love for His Church and the local church where I had years of harbored bitterness and confusion. It was at MP where I learned how to tell my sorority sisters about Jesus and we were blessed enough to see many confess Christ over the years. It was at MP where I learned about what it means to be a woman after God’s own heart. It was at MP where I fell more in love with Jesus. Amanda Jo graduated from TTU in 2016 with a Bachelors of Business Administration in Marketing. She is currently on staff with Campus Outreach Knoxville at The University of Tennessee. Amanda has spent 3 of her summers at Mountain Project in 2014, 2016, and 2017. Perhaps, if we are honest, we push dear Earnest away because we are comfortable with the amount of spirituality we have and want no more. Our stiff arm and bitter jokes come not mainly from Earnest’s erring attempts at love, but our malfunctioning love for Christ. Perhaps we do not like reminders that we are too worldly. Perhaps we do not want to kill our pet sins. Perhaps we despise the brightness of these friends’ light because it exposes the dimness in us. Perhaps they walk as a contradiction to the little lie that we have begun telling ourselves: I can be a follower of Jesus and a friend of the world. 10 weeks ago did you ever think you would make it to this point? Bags are packed, the last 12hr shift has come and gone, and those Dickies that just don’t fit right have been turned back into Wardrobe with ease! The Summer Project has officially come to a close. My guess is that you’re feeling an array of emotion: Excitement because you FINALLY get to have a home cooked meal and sleep in your own bed. Sadness because the MP Binder is full and the trainings are complete. Literal agony because you’ve heard Pastor Dale’s last intro-to-sermon joke and a little broken hearted because those late night balcony jam sessions are over. But mostly eagerness to get back to campus and see everyone again! There’s not really a training or a talk that can fully prepare you for the reality of life outside of Pigeon Forge. The 10 weeks are up… So, now what? Pulling out of the River Lodge South last summer, I would have told you with full confidence that this next year would be my best yet. I couldn’t wait to get back and share with my dorm-mates, coworkers, and friends, the things that I had learned over the past few months. Just as you all are about to, I headed back to my college campus, moved back in with my roommates, started back in my d-groups, and began my classes. Life was great… until it wasn’t. Not too long after I got back to campus, I was faced with a lot of doubt and confusion about things that I thought I fully understood in Christ. Along with my misunderstanding came bitterness and anger. But you see, as I was struggling through a season of uncertainty in my faith, I was being showered with things in the world that whispered false promises of satisfaction. Distracted by the lies, I let go of my doubts and looked the world dead in the eyes. Enticed by the thrill, I pushed down my confusion and replaced it with “what ifs” and “why nots”. Filled with rage toward my fickle heart, I grasped tightly to my bitterness and let my anger lead me to people and places that teased me with reckless freedom. No rules. No expectations. I felt free, but in reality, I was held captive by my own struggle. Brothers and sisters, I want to encourage you in Christ and beg you to prepare your hearts and minds for the battle ahead. The enemy is on mission to steal, kill, and destroy (John 10:10). So, in the reality of the war of the world, how is one to fight well? Submit yourself to some sort of intentional, spiritual leadership. Meet consistently with a small group of believers that you’re willing to share your life with. Get an accountability partner! Someone you trust in Christ, that you are willing and ready to discover, confess and fight the sin in your life with. As you all wave goodbye to Mountain Project 2017 & pull of the River Lodge South, my prayer for each and every one of you is that The Lord, through the power of his Spirit in your lives, convinces you of the things you’ve learned this summer. I pray that you would be diligent in learning, disciplined in walking well with Christ and that you would continue to grow in love for God’s Word. Enjoy Jesus. Seek truth. Train in righteousness. Wage war. Walk in grace. All for the Glory of God and His Name is known. Amber Speigner is a recent TTU Graduate and is currently working in the TTU Admissions Office. Amber has spent two summers at Mountain Project! Amber enjoys rainy days, harmonizing with friends and sipping on coffee. She is a proud TTU Alumni and loves her university! I attended Mountain Project three times during my involvement with Campus Outreach at Tennessee Technological University. It is difficult to see the sin that rules you while being a part of the fish pond. I graduated in 2012 and five years later I realize how much of a glory thief I was during those years. This is not to say that I am never a glory thief now but I wanted the approval of man so much I never let my guard down. I wanted to be needed and in the end I wanted it to satisfy my need for people to say "look at her, she is awesome!" This desire was never quenched. It kept me from being honest with those who led me and the ones I was discipling. I hid the sin of my heart in fear that others would see me as a failure. I didn't really care if people saw Jesus, I just wanted to be seen. Recently God's self-sufficiency has been his characteristic that has rocked my world. Jen Wilkin writes in None Like Him: 10 Ways God Is Different from Us "We need Him every hour, but He needs us not at all." How does that make you feel? It made me feel heart broken. If He doesn't need me then what is the point of anything in the Christian walk? Why have I been orchestrating my life around the word of God if He doesn't need me? To be honest this entire concept propelled me into an anxiety attack. A little update on my current situation: I am moving to teach at an International Christian School in Hong Kong. I have given away 95% of my possessions and am moving across the world as a single woman. He doesn't need me? Then why am I even doing this craziness? That was all it took to restore my confidence, He is worthy. We do not do anything because we are needed. It is freeing to know that we are not needed but He has given us worth & value through paying the price with the sacrificial death of His Son. We are valued because He has given us worth and we do not need to work for our value by being needed in His kingdom. We do it out of an overflow of love for Him. "... we were not created to be self-sufficient. Nor were we recreated in Christ to be so. Sanctification is the process of learning increasing dependence, not autonomy." May you increase in your dependence on God this summer. This might be through the brokenness of your sin or stepping out of the realm of your fear to ask a stranger about their life. You are NOT needed but you are LOVED by the creator of this world. He has given you all your worth and value needed in this life. So, you can walk in confidence to serve Him because He is worthy of all your honor, praise, and worship. This has freed me as I leave America, and I am not going for my own glory. Now I get to love and serve my Father out of a heart that loves Him. I pray that as you finish this summer and return to the campus that your hearts would be free to love and serve Him because of the value He has given you. You are a child of God and you get to show others how worthy He is of their worship. "The God who made the world and everything in it, being Lord of heaven and earth, does not live in temples made by man, nor is He served by human hands, as though He needed anything, since He Himself gives to all mankind life and breath and everything." Emily graduated from TTU in 2012 and is now moving to Hong Kong to teach at an International Christian School. Emily loves to read and write about God. Sometimes you might catch her telling a corny joke. Mountain Project 2017 Summer Update! Thank you for your prayer and support for the Mountain Project! Here is an update of how the summer is going! I recently watched a movie called “The Lost City of Z” in which an early 20th-century explorer from England made multiple trips to South America to search for an ancient civilization that many believed did not exist. He sacrificed years at a time with his family in order to search for this civilization that may or may not be real. Several times throughout the movie, his wife reminds him that, “A man’s reach should always exceed his grasp,” and this pushes him to continue to daily strive for something in which he may never succeed. One month ago I began a year long internship as a student ministry associate at First Baptist Church Mt. Juliet, and perhaps the greatest temptation I have faced here has been to be prideful because I’m in the ‘right spot’. This leads to me being comfort-seeking and apathetic towards the mission of Christ. I have found myself believing that because I am simply working in a church I am fulfilling my Christian duties, and of course while I know this is not true, my sinful heart runs to the comfort this lie promises. When I become prideful in my circumstances, I have a tendency to forget that following Jesus is less about me being in the right spot, and more about walking with and trusting Jesus in whatever spot I find myself. This is not a new trap that the devil has set for me, in almost every season of my Christian walk I have gone through times where I believed that because I was living in the dorms for ministry purposes, going to summer project, involved in a good campus ministry, or leading a discipleship group, I was doing the right thing and therefore had no reason to change anything, and yet it was during these seasons that I scarcely shared my faith or prayed. What I failed to see in these seasons was that these decisions do not sanctify me, only intimacy with Christ can do that. It was like I pulled out of my driveway for a cross-country road trip and then wondered why I was not immediately at my destination. My decision to go on a road-trip does not complete the road-trip for me, only the drive does that. I do not want to discourage anyone from making big decisions and sacrifices for Christ, I only beg you do not substitute your sacrifice or decision for your daily walk with Christ. It will always be tempting to pat ourselves on the back for the grand decisions we’ve made for the mission of Christ, all the while forgetting the reason we made those decisions was so we could daily deny ourselves and carry our crosses (Luke 9:23). The great lordship decisions we make are not a means to an end, but a means to trust and follow Jesus, and so they are inseparable. “Unless the Lord builds the house, those who build it labor in vain” (Psalm 127:1). The fact that only the Lord can build the house does not deter the laborers from waking up and going to work, and so it should not deter us from reaching for things that are only in the Father’s grasp. I pray that this blog entry encourages you to not only make big decisions, but also little steps as you walk with Jesus daily. Trust God, pray for the lost, share the gospel, disciple a younger believer. I pray you live beyond your reach, because nothing is beyond His. Ben Eastin is a recent TTU graduate who currently lives in Mount Juliet, TN. Ben was a room leader at Mountain Project last summer and is now a Student Ministry Associate at First Baptist Church Mount Juliet. He enjoys playing any sport and being outdoors! In the summer of '09, my husband and I were disciples. Summer of '10, we were room leaders. Summer of '11, we were team leaders. And summer of '12, my husband was project director and I was in New Zealand with the CCP team. Needless to say, if you are going to Campus Outreach's Mountain Project this summer, we probably understand most, if not all, of the feelings you might have. 1. Go at your own pace in evangelism. A lot of people go to Project to learn how to share their faith better. And you will. But that doesn't make it any less scary when you go to do it. Don't rush yourself. One of the biggest temptations on Project is to try to look as spiritual as everyone else. Don't fall for it. This summer is about YOU and GOD (this includes you, too, leaders). SO, if just starting a conversation with a stranger is a big deal for you (like it was for me), just start there. Say "hey" and ask where they're from (because most people are on vacation in Pigeon Forge/Gatlinburg). Find something to relate with them on - their kids, school, sports, their dog, whatever! Don't worry about the spiritual stuff right off the bat - you'll get there (unless you feel ready for that! Ain't nobody stopping you). This is not about performance; this is about faithfulness. 2. Let people know you. This summer - you're going to eat together, work together, learn together, laugh together, all of it. Within all this time together are ample opportunities to let people in. It is possible to be surrounded by people, yet feel so alone. So, as you feel comfortable, let people in on your struggles. On Project, it may seem like people are perfect but they aren't - they're just people. Project, at times, can feel like you're drinking out of a fire hydrant. Getting alone gives yourself the opportunity to digest what you're learning so that you'll actually grow from it and not just forget it. Plus, you're there to grow in your relationship with Christ. You need time away with Him in order to do that. Everyone will be there when you get back. Ride rollercoasters. Love Dolly. Throw things in your trunk for room cleaning. Go to bed at curfew. Be nice to your leaders. Group date e'erday. Take pictures. Turn your Christian rap UP. Dance a lot. JUNGLE BOAT RIDE with EVERY person on Project. Wear T-shirts - forget nice clothes. Don't get in a prank war with Hillary Walters. And, call your parents! I'm sure by this point, you're super excited, really nervous, or both, about going on the Mountain Project this summer! I've got some good news and some bad news for you: This summer is not about you. It's not about how much fun you’re going to have, how much you're going to learn, or how awesome it’s going to be going back to school in the Fall. It's not even about how close to Jesus you're going to feel this summer (Though that's going to be awesome!). It's not just a summer experience that you get a bunch of cool snapchat stories from, or even about how many times you share the Gospel over the summer. This summer on the Mountain Project is about setting you up to follow Jesus faithfully for the rest of your life. Following Christ is a marathon, not a sprint, and while the fast pace of project can be tiring, it’s really just building that stamina and endurance that you're going to need over the course of your life. Every little thing you do is pushing you in that direction. So why am I telling you this? Because this summer it’s going to be really easy to get caught up in all the fun, or to be exhausted from a long week at Dollywood, and forget why you're on project. There are gonna be some days that you literally just don't want to do anything. And if your goals for the summer are to make lots of new friends, to grow more knowledgeable about the Bible, or even to share your faith better, it’s just not going to be worth pushing through on those days where it would feel much better to lay in bed, watch Netflix, and sleep. Those goals are all good things, but if that's your end goal, you're missing the point. The point has to be Jesus. It has to be knowing Him more. It has to be glorifying Him with your life. It has to be all about Him. If Jesus is not at the center of it all, it's all gonna fade away eventually. Maybe not over the summer, maybe not even while you're in college, but it will. I don't want that for you. I've seen it. I've seen people fired up about going back to campus to share the Gospel with their friends, and they get back to school and it just doesn't happen. Life gets in the way. It wasn't how they thought it was gonna be, or they find out that it's a lot more fun to hang out with that guy or girl they like than the people they don't know well in their dorms. Maybe they realize that some people didn't like them as much when they talked about sin and the fact that we all need a savior. Whatever the reason, the heart issue behind it is that they took their eyes off Jesus. It happens. Even the apostle Peter started drowning when he took his eyes off Christ in Matthew 14. So this summer, next semester, or whenever you find yourself drowning, look up. Join with Peter and cry out, “Lord, save me!” Remember the Gospel. Remember that Jesus endured the cross for your sake, he despised the shame that should've been mine and is now seated at the right hand of God. That's where our focus must be. That's what will get you through long Dollywood days, late nights in a tiny dorm, and through all the trials of life. So this summer when you're mad at your roommates, you're exhausted, or you just can't bear to hear the wild eagle song one more time, just know that it's worth it. It’s worth it to come back to campus and see one of your friends give their life to Christ. It will be worth it to be 80 and look back and see all that God has done in your life. And it will be worth it on the day we stand before the throne of God and see Jesus face to face. 1 Therefore, since we are surrounded by so great a cloud of witnesses, let us also lay aside every weight, and sin which clings so closely, and let us run with endurance the race that is set before us, 2 fixing our eyes on Jesus, the founder and perfecter of our faith, who for the joy that was set before him endured the cross, despising the shame, and is seated at the right hand of the throne of God. Adam Deatherage is from Knoxville, Tennessee, and is a senior at Tennessee Tech. He plans to graduate this December with a degree in Manufacturing and Engineering Technology. He has spent two Summers on Mountain Project, and will be traveling to New Zealand this summer with a team of students to share the Gospel there. Adam enjoys spending time with his friends, being outside, and hitting golf balls into lakes, forests, and pretty much anywhere besides the hole. I cannot physically touch God. I cannot literally see Him. I cannot audibly hear Him. I cannot actually taste Him. And, I cannot really smell Him. Yet, He is to be my refuge. My salvation. My friend. My love. This paradox, if you will, is why it can be difficult for us to lean on Christ. This is why we often turn to people or things that we can physically touch/see/hear to nurse our wounds and give us fast comfort and joy. The quick fix! But, despite the instant gratification or speedy advice that those things may offer, they can still leave us anxious and needy. Anxious because our hearts were made to find ultimate peace and rest in God (Phil 4:7 ; Matt 11:28). And, needy because, if people (or things) are the first thing that we turn to, then, when a storm hits, we will “need” those things immediately. That’s why over and over in the Bible – God is exhorting us to put him first. So, while we may not be able to literally see God, we can experience Him and we can have a relationship with Him (Exodus 33:18-20). God desires for us to put Him first, not just because He is always available, but because our hearts were made to find our needs in Him and not other people. He has set eternity in our hearts (Ecc 3:11). So, how do we do this? How do we lean on Christ and set our minds on things that are above (Col 3:2)? It is a simple answer. Yet, as life and responsibilities and relationships and children pile on, it can become one of the hardest things to do. But, there’s so much grace (it never runs out) and we need that grace as we learn to walk with God through new seasons. Maybe you learned to lean on God when you had no community and now you have community and you’re tempted to lean on them instead of God. Grace, grace, grace. Go back to the basics. Maybe you learned to lean on God as a single person but now you’re married and you’re tempted to lean on your spouse before God. Grace, grace, grace. Go back to the basics. Maybe you learned to lean on God before kids but now there’s all these little people with all these big needs and you’re tempted to skip God to tend to them. Grace, grace, grace. Go back to the basics. Matthew 14:23 — “And after He had dismissed the crowds, He went up on the mountain by Himself to pray. When evening came, He was there alone. And, if it’s in the heat of a moment, getting alone with God does not have to look like going to the mountainside to pray. You can go to the bathroom at work, your car at school, your back porch at home. Sometimes, I even just close my eyes and picture myself in an empty sanctuary with God. It’s just about turning to God first with our fragile hearts. Lean on friends, family, spouses, whoever. But, only secondary to God. Because people make great vessels and helpers but terrible Saviors. I almost died. Really. Like in the I'm actually dead kind of dying. It all started with a desire that needed to be finalized into a plan. My buddy and I were going to create our own path up the beautiful mountain we could see in the distance from our breakfast table. I decided to drive out later that day and find a good entry point for us. We would go up the next morning. Context: This was a border mountain for Thailand and Myanmar(Burma). I can speak Thai fairly well. As I was walking along the dirt road that snaked along the base of the mountain a man came out of what seemed to be nowhere and asked what I was doing. Me: I'm going to hike up this mountain tomorrow. "Oh, is this private land?" Being as polite as I could, "why can't I hike up the mountain?" "Landmines from the old war. "Boom!" "Yes, sir. Can I hug you?" We still climbed a mountain the next day, but it wasn't the border mountain. The adventure was not thwarted, but death was. Sure, it may not seem like the decisions you are making will end in a leg getting blown off or losing your life, but the emotional and life path results could be as bad. You are making decisions in college that will have ripple effects for the rest of your life, that will bear fruit in your career and family. You are desiring a certain path and hoping that by the time you graduate you will at least have a basic plan. I want to help you avoid landmines. I want you to live an amazingly adventurous life. This is why I confidently point students towards the Mountain Project. The Mountain Project is a great place where landmines are removed and wisdom is gleaned to help us avoid potential explosions as we blaze ahead. Take some time today to look around the site to hear from others about this amazing and even life saving opportunity. Others may be skeptical or suspicious but are interested in hearing more, especially if I don’t give up on them but continue building relationship. Still, others whose hearts God has touched will accept the message of salvation found in Christ and become new creations. If I told you God would give you the privilege of personally leading 5-10 students into a relationship with Jesus this semester, would you be willing to be used by Him to do so? Of course, you would! Confidence is a tricky thing. We want to be confident but not prideful. Meek but not a push over. At one point, I was leading (5) Bible studies, mentoring about 15 girls and getting a degree in mechanical engineering. And, I felt absolutely confident through it all. Fast forward a couple years and all of that was gone. Not just the Bible studies but my confidence. It didn’t matter how many Bible studies I had led in the past or how many people I had led to Christ – I felt unworthy and ill-equipped to lead anyone or anything. I traveled to the River Lodge South for Mountain Project two summers in a row, and I am SO glad I did. Mountain Project has greatly impacted my life in too many ways to count. I’d like to share a couple ways MP has impacted my life in the hopes that you might let it impact yours, too! Mountain Project opened my eyes to the needs of the world. This past summer at MP we had a specific training called World Vision Training. During this time, we would learn about other countries and the people groups that make up those countries. We were exposed to their needs through facts, statistics, personal testimonies, and videos (among other things). Then, we would break up into groups and beg the Lord to meet the needs of these nations. This training allowed me to catch a glimpse of the greater picture - the reaching of the whole world with the good news of Jesus Christ! During our time at project we learned what it looked like to walk with Jesus daily, share our faith, and live in community. We were prepared to return to TTU and preach the gospel to those in our residence halls, athletic teams, and classes. Through the power of the Holy Spirit people come to know the Lord and they begin to multiply their life, sharing the gospel with those around them. Then, someone else comes to know the Lord and becomes convinced to share the gospel overseas in China, etc. What is taught in Pigeon Forge, TN has the ability to impact the world - and you can be a part of that! THAT’S SO COOL! Mountain Project lets you experience gospel-centered community for ten whole weeks. I cannot express to you how sweet it is to truly live life among 70+ other brothers and sisters in Christ. For 10 weeks you are learning, growing, and working alongside fellow believers. Living in a community of believers allows you to experience accountability, gospel truth, and encouragement that pushes you back to Jesus. Community is also such a sweet reminder of the body of Christ and how it works so beautifully together. Each one of your brothers and sisters in Christ reflects the Lord in different ways, yet you all are unified because of how your lives have been changed. Not to mention, living with 70+ other college students leads to quite of bit of fun and adventure! Through two Mountain Projects, I have been able to establish life long relationships on the gospel of Christ, and the Lord has used those friendships greatly to show me more of His character and goodness. To end, I will leave you with my favorite encounter from last summer in the hopes that it encourages you and reminds you of the Lord’s saving power. One day, some girls and I headed to the Island on the Pigeon Forge Parkway to share the good news of Jesus Christ. After having a few conversations with people, we rounded a corner to see an older lady sitting alone outside of a moonshine store. We approached her, and asked her if we could share Romans 6:23 with her. She said yes, so we began to explain this verse word by word. About halfway through the verse, the lady began to sob. She explained to us that she had cancer, and that she was physically dying. Not only was she physically dying, she was spiritually dying, as she had not placed her trust in Jesus Christ. We finished going through the verse with her, and asked her if she would like to have a relationship with Jesus Christ. She responded, “Yes,” through sobs, and began to pray for the Lord to save her life. 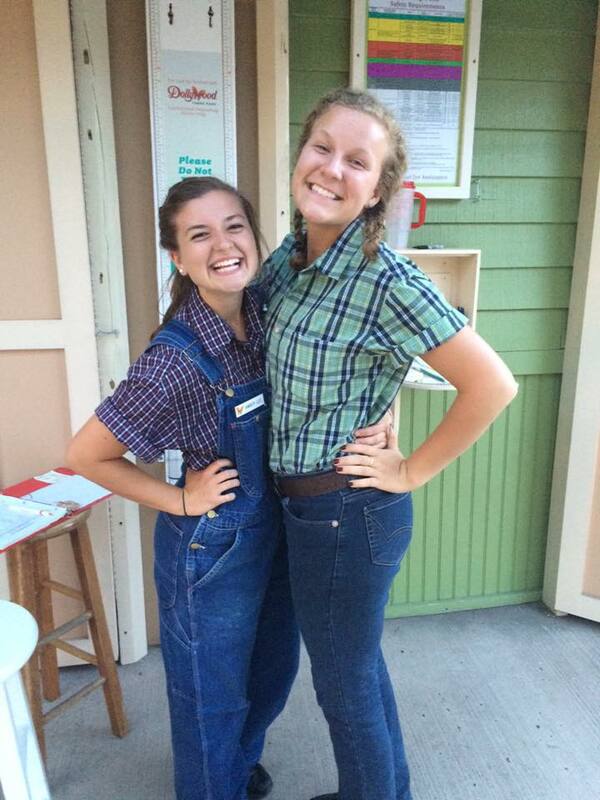 P.S.- Wearing a Dollywood uniform is undoubtedly one of the highlights of my life. P.P.S.- Pigeon Forge has the greatest lemonade you’ll ever put in your mouth. Amberlee DeLaney is from Knoxville, TN and is a Junior at Tennessee Tech University. She will graduate May of 2018 with a degree in Elementary Education. She will be going this summer to New Zealand on a Cross Cultural Project. Amberlee has been to two Mountain Projects and would say it was the best time of her life. Amberlee loves coffee and Captain America or anything Marvel. Around this time, last spring, I was a nervous wreck. I had just committed to Mountain Project with no idea what to expect. All I knew is that it was a great opportunity to grow in my relationship with God and have a lot of fun as well. So many people kept saying it was the best summer of their life, so I wanted to make sure I could say the same. I ended up sitting down with one of my best friends Jacob Marlett, a Mountain Project veteran, to get some advice. He could tell I was nervous, so he was nice enough to type up a list of tips for me, and BOY did they help. They were such a huge help for me on my first project, I decided to share my experiences. 1. Try to meet everyone and learn their names the first week. -This was a tough one for me, but easily the most beneficial. The quicker you meet everyone, the quicker you will become comfortable. Yes, there’s probably going to be awkward conversations and experiences, but those are the things you’ll look back on and laugh about with each other. 2. Ask a room on a Group date early. Now, this tip I didn’t follow as much. This will depend on your roommates. My room was a little tight on funds at the beginning of the summer, so we decided to wait until we could do something really fun. Other rooms were more creative and asked early on. Like I said, it just depends on the people in your room. BOY, this is a big tip. If you want to have a great project, learn to master the art of napping. There will be days where you just want to sleep all day, but if you want to have a great experience, resist that temptation and go out and do something. There are always people going somewhere. 10-minute naps will be your best friend. 4. 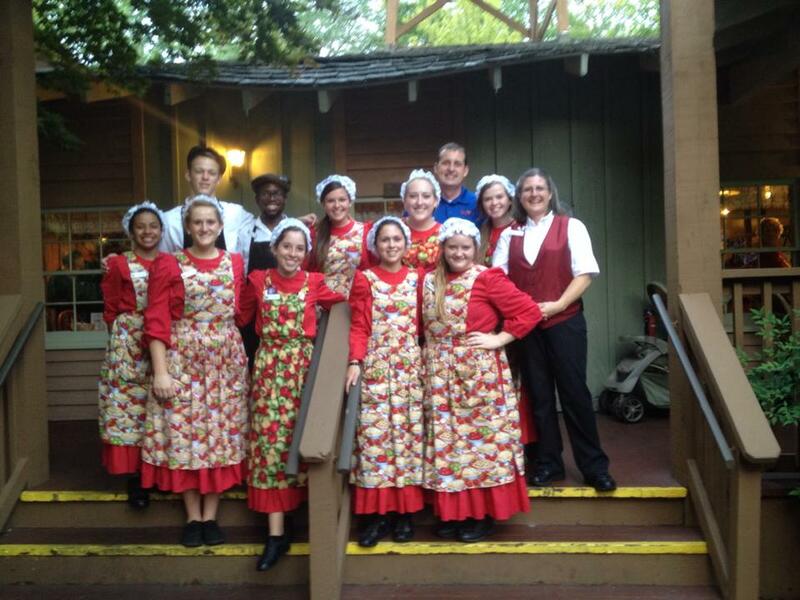 Use all free perks that come with working at Dollywood. You really do get a lot of attractions discounted if not free. There’s tons of cool things like go-karts, mini-golf, petting zoos, museums, etc.. My room regularly took advantage of these for group dates and free time. It’s a great way to save money. 5. Focus on God, not “that guy” or “that girl”. Obviously, when you’re hanging out with the same people for 10 weeks, you’re going to find someone you’re pretty fond of. It’s not necessarily a bad thing, but you can’t let that distract you from your walk with God and the reason you decided to go to Mountain Project. 6. Serve. Be a servant to those around you. Serving your fellow project members is one of the best ways to practice being a servant of God. It can be a little thing like picking up someone’s plate or wiping the windows. My thing was taking rooms’ trash bags over to the dumpster for them whenever I could. I encourage everyone to find some way to serve. It goes a long way for each side. 7. Daily quiet time is a need. This will be hard to do with such a busy schedule, but it is one of the most rewarding times of the week. I personally set a time at the beginning of each week when I would get away for a little bit. Whether that was going for a run or waking up to watch the sunrise, it was always my favorite part of the week. 8. Set aside a time of prayer each week. Again, this may be difficult to find the time or make time, but I highly encourage it. Honestly, my prayer life wasn’t a huge part of my walk with God when I showed up, but I made it one of my main goals for the summer. I didn’t do it as much as I would have liked, but when I did, it helped tremendously. 9. Get up early, it helps your day go better. 10. Be open and vulnerable. Your D-group is one of the biggest assets you’ll have on project. The quicker you get comfortable with each other, the more fun you’ll have and the more you’ll grow with God. Share your struggles. Be open. When you have guys holding you accountable and praying for you, you’ll feel a lot stronger. 11. Share the Gospel at work. Work is a great place to practice what you’re learning. You’ll be working with a lot of the same people each day you work, so make sure you get to know them. Ask them where they’re from. Ask them about their families. Build a relationship with them. This will help them be more receptive to you sharing the Gospel with them. 12. Coffee is your friend. If you want to get the most out of the trainings, make sure you’re awake. Whether it’s coffee, energy drinks, or sodas, try to be awake and ready. One of my biggest regrets was not preparing my mind for each training, especially the morning ones. They’re packed full of useful information that you don’t want to miss. 13. Keep your family updated. 10 weeks is a long time. It may seem like it’s going by quickly for you at some points, but that’s not always the case for your parents. Call them often. Text them. Maybe even send them a letter. They’ll love to hear about what you’re doing, and I can almost guarantee you’ll want to tell them too. 14. Feed the geese off the back balcony ...it's so fun. 15. Eat at Little Tokyo. When in doubt, go to Little Tokyo, or sometimes known as "Lil Tok". It’s a Mountain Project staple. Best hibachi you will ever eat. It’s easily my favorite restaurant. It can be expensive if you’re on a budget, but if you go in the afternoon, you can get a lunch special. It’s a lot cheaper, and for most people, it’s two meals worth of food. My room’s fridge was always stuffed with styrofoam to-go boxes from Little Tokyo. Everyone’s experience will be different. You’ll get out as much as you put in. Just be prepared to let God work in your heart and give Him your all for these 10 weeks. If you do that and follow these tips, you’re guaranteed to have a great experience. Hopefully, you too will be able to say it was the best summer of your life. I think you will. Andy Tatum is a senior studying Mechanical Engineering from Oak Ridge, TN. This past fall, he stepped away from TTU for a year to take a co-op position with Honda in Birmingham, Alabama. Last summer was his first time at Mountain Project and he can’t wait to be back again this summer to serve as a room leader. His favorite things to do are run, play golf, and watch sports. Try to meet everyone and learn their names the first week. -This will help develop relationships early and really make it easy to get to know everyone. Ask a room on a Group date early. -They are always fun and are an easy way to meet people. It will also give you time to ask more rooms throughout the summer. -Trust me on this. If you nap a lot, you will miss out on the fun and it’ll be harder to sleep at night. Use all free perks that come with working at Dollywood. -This is where you build relationships with everyone, enjoy free time and often do group dates. “The Track” was my favorite perk. Focus on God, not “that guy” or “that girl”. -Ok, yes some are cute but remember the real reason for being at Project, God and growing in your relationship with Him. Serve. Be a servant to those around you. -Grab someone's plate and help clean the Shed are some examples. Christ was a servant, so we should desire that as well. Daily quiet time is a need. -Obviously, this is very important but it is very helpful during a stressful day at work. Spending time with God makes all the difference in your day, miss a day and I promise you'll realize it. Set aside a time of prayer each week. -At least 30 mins of just praying. I never specifically did this but I wish I would have. Get up early, it helps your day go better. -Also, a great time to get in the word. Fighting to take a shower doesn't exist if you're the first up. -This mainly applies to D-Group and with your room lead. Be open about your struggles and they can help keep you accountable. Even the "deep dark struggles". Share the Gospel at work. -Once getting to know your coworker, don't be scared to talk about Jesus with them. Even share your testimony. Believe it or not, most will accept the conversation. Most know why you are there. -If you don't like coffee, learn to like coffee. It's a great helper in the morning. Don't spend all your money at Starbucks though. Also, don't be a sissy and put cream and sugar in it…Drink it black. -You don't have to call them every, but at least show you care. They love hearing from you and will enjoy Family Weekend as well. Feed the geese off the back balcony ...it's so fun. -It's my favorite place. Say the phrase “We skinny over here”, regardless of your actual size, and you are almost guaranteed to get extra food. OVERALL, enjoy the summer. This was by far my best summer of all and I wish the same for you. Let God work in you and grow in your faith. Build friendships that will last a lifetime and invest in the people around you. Feel free to send this or show this to anyone else that plans on going to Mountain Project! Jacob Marlett is from Portland, TN and currently getting his MBA at Tennessee Tech University. He graduated from Tennessee Tech University with a Bachelor's Degree in Business Administration in Accounting. Two summers ago, he spent the summer at Mountain Project and last summer attended a Cross-Cultural Project to New Zealand. This year he gets the privilege to serve as one of your Mountain Project Team Leads. His favorite things to do are watch sports with his friends and make people laugh. Part 3 of the Mountain Project Interview Series with Student Director, Coleman Hawkins!